Preview in Mac OS includes a helpful magnification tool that follows the mouse cursor, allowing you to zoom into details on whatever picture is on screen. This is pretty useful and offers a much more precise option than zooming in on a full sized image with the command + and – shortcuts and then navigating around. 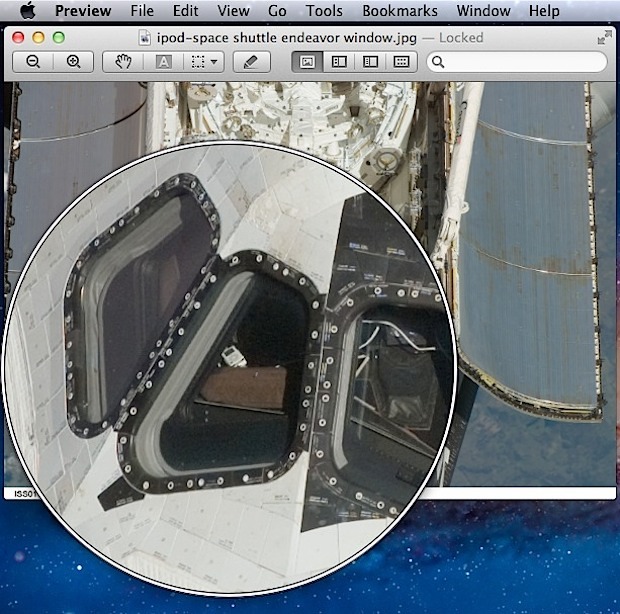 The magnifying glass tool in Preview has been included in Mac OS X for quite some time, from Lion onward through Sierra and beyond. Thanks for this! On a German keyboard layout we don’t have such a specific tilde key. Can you tell me the key for the magnification tool on a German keyboard? This is the key you should use. In Belgium it’s the ` key. My magnifier glass is rectangular; how do I get a circular one? It seems that JPEG, TIFF and other image files get a circular magnifying glass, whereas PDF files get a rectangular one. So that’s how CSI solves all those crimes. I always wondered. Another tip: if you don’t have the track pad, use the + sign to make the magnifying circle bigger, and the – sign to make it smaller (like in Photoshop when changing the pen sizes). My magnifying glass in preview keeps changing shape while I’m reading pdfs. Itll be a rectangle then suddenly it gets a little wider, or a little smaller or will turn into a square. Its incredibly irritating. I *just* noticed this when I accidentally hit the tilde key (*). And noticed the strange zoom-area-getting-bigger behavior. I assume it’s the trackpad misinterpreting a finger-move as a “spread” gesture (“opposite of pinch”, whatever that is called), or something to do with force-touch. Of course there seems to be no help topic on this, nor anything in the “Accessibility” preference pane. (*) Apple seems to be good at this. They put useful features into things – that could actually be used as *selling points for macOS* – and then *not telling anyone about them! How does this make any business sense? You’d think the Accessibility prefPane would be where they’d put at least *instructions* for ALL the “accessibility features” in ALL the apps that support them. They could call the system framework to support this “AccessibilityKit”.